PersönlichkeitsSCHMIEDE® is a Home for me, people and companies that was created for restoring humanity though inspiration and individual transformation. Since 2018 our so called PersönlichkeitsSCHMIEDE® exists. If you would translate it from German, it would mean: personality forge. The idea behind it? To create a place where you can feel at home, exchange thoughts and work on yourself. No matter if you want to talk about business or a private matter or whether you come to us in a team or as an individual. Our goal is to help you find yourself through inspiration. How we work in the PersönlichkeitsSCHMIEDE®. The PersönlichkeitsSCHMIEDE® is an enlightened place where everything is allowed. Creative and individual: We always start from the individual human being and current needs and desires. That's why every advice is different. All in all: We see humans as a unity of body, mind and soul. Supportive: We support and assist you in mastering your current challenges and equipping you with the right tools. The will to do so and the actual implementation depends on you. Results-oriented: We want you to be more inspired and motivated after our consultation than before. For you to have a plan, consisting of individual steps that you can tackle in concrete terms. Sustainable: We treat no symptoms but get to the bottom of things – that’s the only way how permanent change can happen. 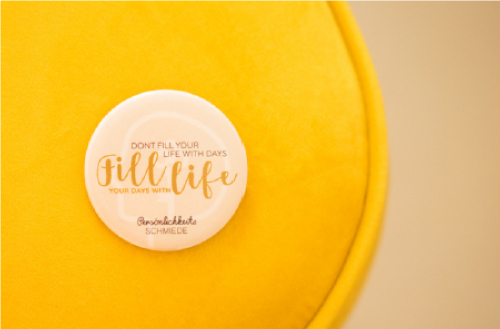 „Don‘t fill your life with days, fill your days with life“: Our slogan should be brought to life in the PersönlichkeitsSCHMIEDE®. 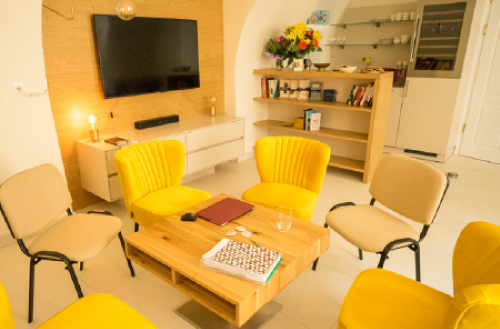 We want to create a place for people who claim to live their lives to the fullest. It's good to have dreams. But there is also a responsibility in them - to make them come true. Old forge: The place. The Home. 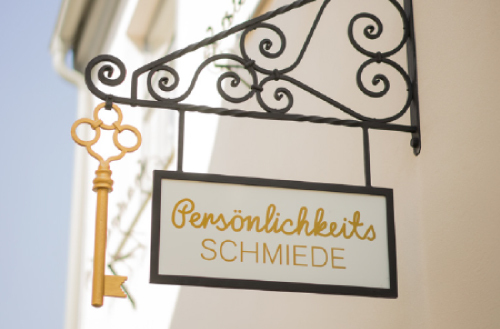 The home of the PersönlichkeitsSCHMIEDE® is not by chance an old, heritage-protected forge from the 18th century in one of Baden's first and oldest streets. Just like back then, in these four walls unique and great things are being created. With the difference that no metal is heated, shaped and cooled, but your personality. Together with you, we forge your personality, shape it. This is not always easy and requires your willingness to open up. But it's worth it: Only those who reveal their inner self, develop and become stronger. The PersönlichkeitsSCHMIEDE® is a place of change and growth where you can and should let everything out that is in you. Are you interested and willing to work on yourself? Then contact us.